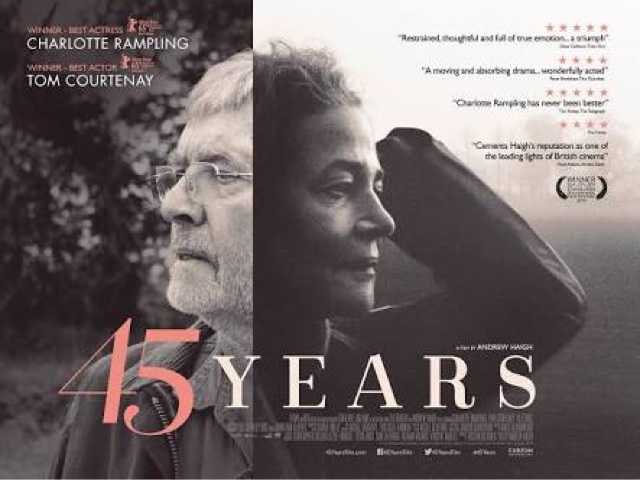 Rampling is utterly deserving of the praises for her nuanced, thoughtful performance. It's not showy like Brie Larson in Room or Jennifer Lawrence in Joy, neither was it overtly transformative like Cate Blanchett in Carol or emotionally-wrought like Saorise Ronan in Brooklyn. Here, Rampling simply inhabited her role. She was her character as her character was her. You never really, for one moment, think that she's acting a role. Equal praises should, and must, go out to Courtenay. He was a brilliant partner to Rampling and their chemistry was natural and electrifying. But in this film, he really was more a supporting actor to Rampling's story. A beautiful film for the matured-thinking audience who likes to be challenged rather than pandered to, with an ending that throws up more questions than answers, but yet utterly satisfying and appropriate.